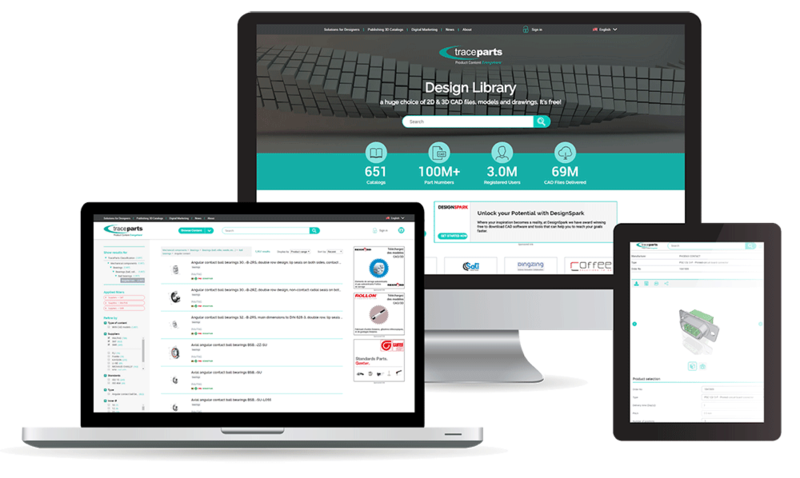 Saint Romain, France & Cincinnati, Ohio USA, November 19, 2018 – TraceParts, one of the world’s leading providers of 3D digital content for engineering, announces the introduction of TraceParts America, based in Cincinnati, Ohio. TraceParts America, which succeeds a prior TraceParts entity in the USA founded in 2007, joins a growing worldwide presence for TraceParts in Brazil, China, France, Germany, Italy, Turkey and the United Kingdom. Companies utilizing TraceParts technologies or services include ABB, Advantech, Bosch Rexroth, Dassault Systèmes, Essentra, Mouser Electronics, nVent, Parker Hannifin, RS Components, Samtec, Schaeffler, Schneider Electric, Siemens, TE Connectivity, and hundreds more. TraceParts America will be managed by its President, Rob Zesch, an experienced business leader with a solid track record delivering solutions for Product Lifecycle Management (PLM), CAD/CAM/CAE, e-Learning, 3D catalog publishing and enterprise part management. commented Gabriel Guigue, Co-Founder & CEO of TraceParts S.A.S. Zesch served as President and Chief Operating Officer of CADENAS PARTsolutions for 14 years, working with leading manufacturers to deliver 3D catalog and part management solutions.